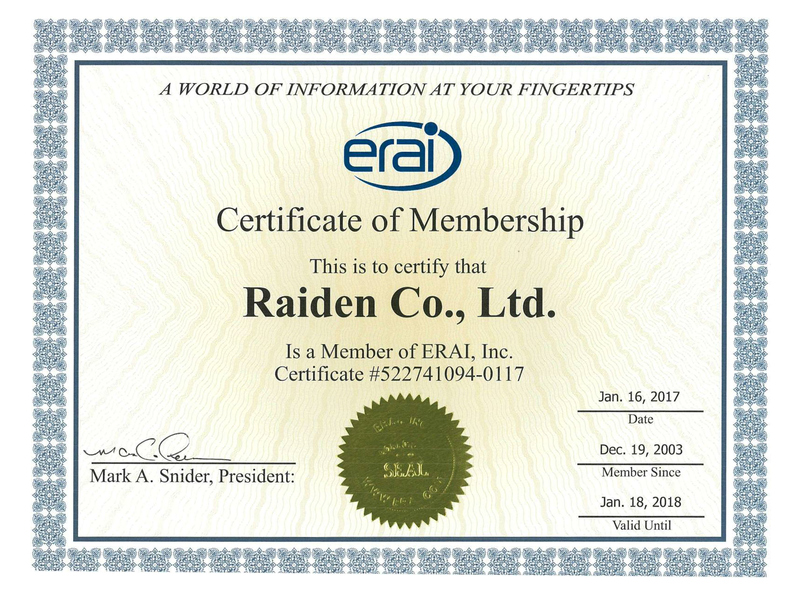 Thank you for visiting.Raiden Co.,Ltd web site. Raiden Co., Ltd is pleased to announce that our official English website is renewed.We hope our new English website would help foreign viewers to search the parts easier. Raiden holds various parts including obsolete and PB-free parts. Please visit our web site frequently to find the part you need. Copyright(c) 2011 RAIDEN CO.,LTD.All Rights Reserved.